This was my sweet companion for almost 21 years. She went to heaven in December of 2011. She was adopted from a stable where my friend kept her horse. Her mother was half Persian. 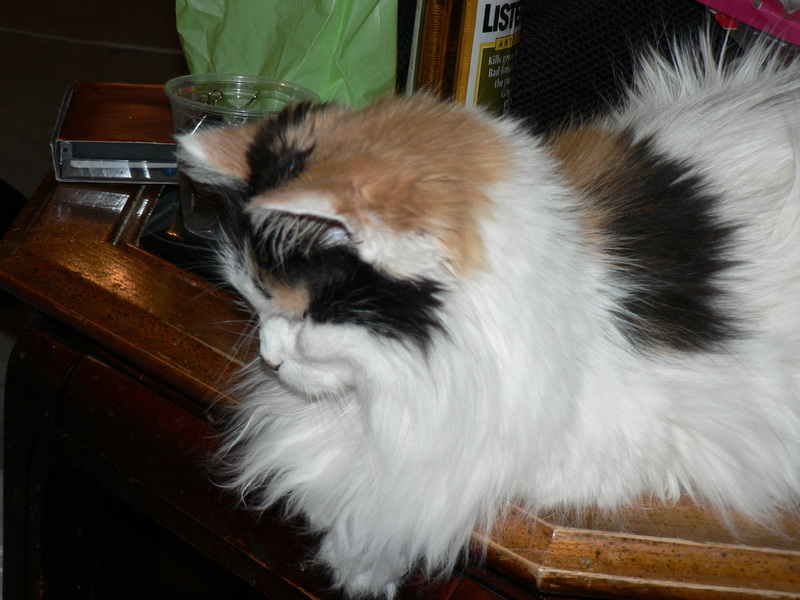 She was a lovely calico. She was very bonded with me and slept in my arms for all her life. She was always doing cute things to get my attention and more petting. She is dearly missed.